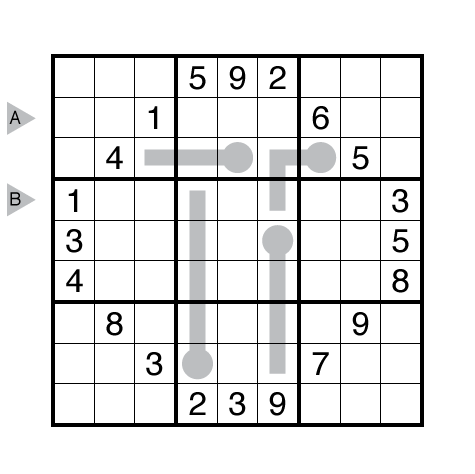 Visually distinctive puzzles were an important part of the top Sudoku from 2018. 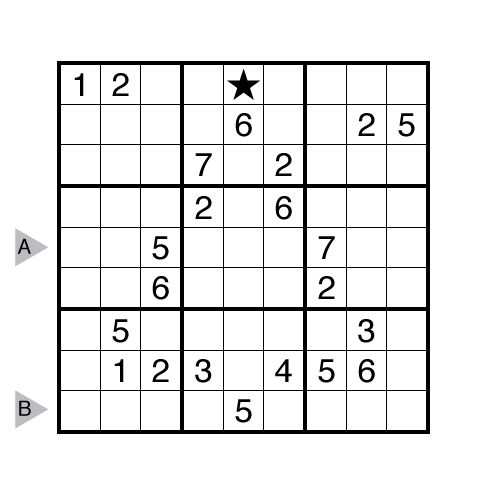 While posted in our last week of 2018, this Christmas Tree Sudoku by Thomas Snyder (that combines Sudoku with the popular Star Battle style) got a lot of FAVE votes in a rather short time. While we have been avoiding “Pi” puzzles for a long time here — some of us assert there is a more fundamental mathematical constant around 6.283 — having some new editors involved on the web led to our first full week of “Pi” puzzles in March and some others later in the year. Two Pi sudoku stood out including this Consecutive Sudoku from guest contributor Fatih Kamer Anda. 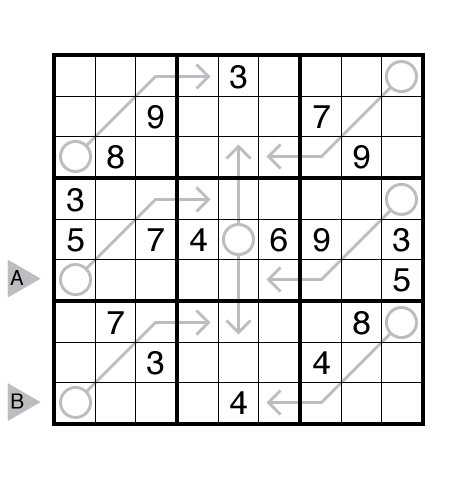 Another prize goes out to an Arrow Sudoku from Murat Can Tonta. 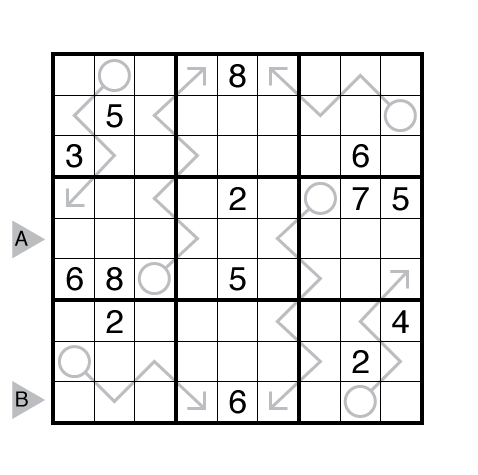 The best sudoku of 2018 goes to another Pi-themed puzzle, a Thermo-Sudoku by Serkan Yürekli with an incredibly elegant arrangement of its givens that still leads to a fundamentally interesting logical solve. 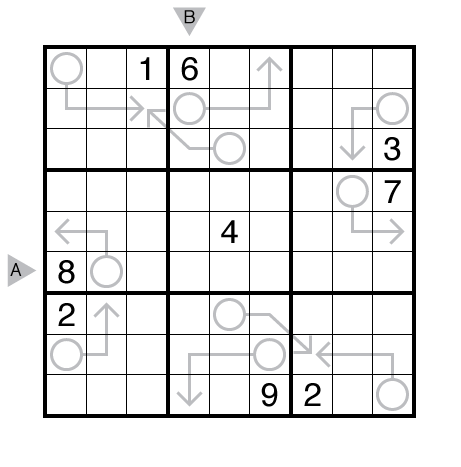 Author/Opus: This is the 55th puzzle from our contributing puzzlemaster John Bulten. 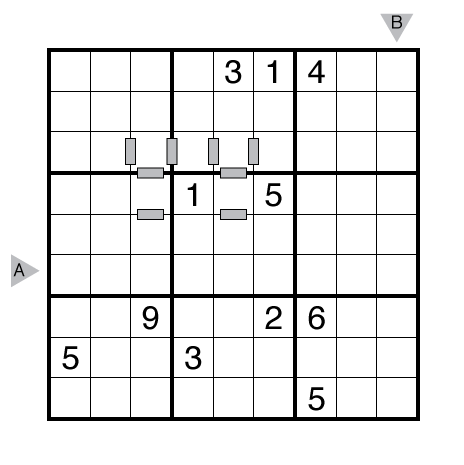 Author/Opus: This is the 2nd puzzle from guest contributor Rajesh Kumar. 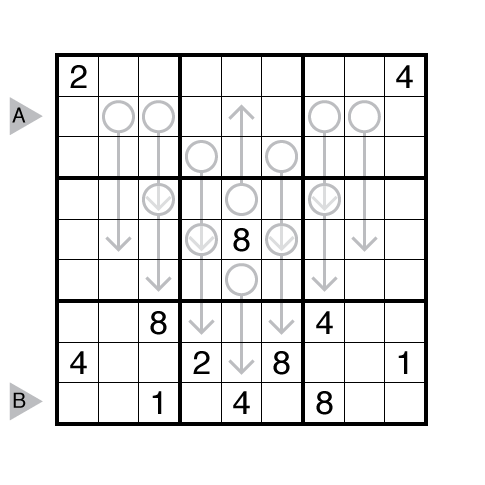 Author/Opus: This is the 87th puzzle from our contributing puzzlemaster Murat Can Tonta. Answer String: Enter the 6th row from left to right, followed by a comma, followed by the 4th column from top to bottom.